There are many different problems that could affect your roof. Sometimes, the severity of the problem varies, which require careful assessment to determine the appropriate solutions. 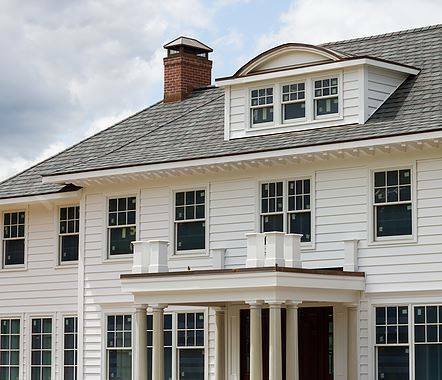 Here at Napolitano Roofing, we offer comprehensive roofing services for residents of Vernon, CT. Roof Repair – We offer quality repairs for roofs that have been damaged by harsh weather and other factors. We conduct an initial assessment of the roof’s condition and will work to restore it. Roof Maintenance – We conduct regular roof maintenance to extend the life and service of your roof, especially during the most challenging weather conditions. Roof Installation – Once we determine that your roof is already beyond repair, that’s the time we go for an installation of a replacement. Our technicians are adept in handling some of the most challenging installations with nothing but excellent craftsmanship in mind. Shingle Replacement – Are your roof shingles starting to warp and curl? Worry not, as we also offer shingle replacement to keep your roof free from leaks that cause water damage to your home. Complete Roofing Systems – We also install complete roofing systems for homeowners who want topnotch performance and protection while enhancing the overall aesthetics of their house. Insurance Claims – Claiming for insurance can sometimes be tedious, so we made it a point to assist our clients in their claims. We have an extensive knowledge in insurance claims, as we have dealt with some of the leading insurance providers through the years. Storm Damage – We also fix houses that have been badly damaged by severe storms. We get the job done in a swift and accurate manner to ensure that your house will be up and protected in no time. Siding – We also offer quality siding that offer a combination of protection from the elements and increase in your home’s curb value. Decks – We also install decks to create additional space where your family and friends can relax, and at the same time, improve your home’s aesthetics. Experience Topnotch Roofing. Contact Us Today! Quality roofing services in Vernon, CT is now made possible here at Napolitano Roofing. We would love to hear more about your home improvement concerns. Give us a call at (860) 519-4900 today or you may fill out our contact form to request for a free estimate.